Catch the Broadway hit WAITRESS, with music & lyrics by Sara Bareilles, at the Carlos P. Romulo Auditorium, 4th Floor, RCBC Plaza, Makati. 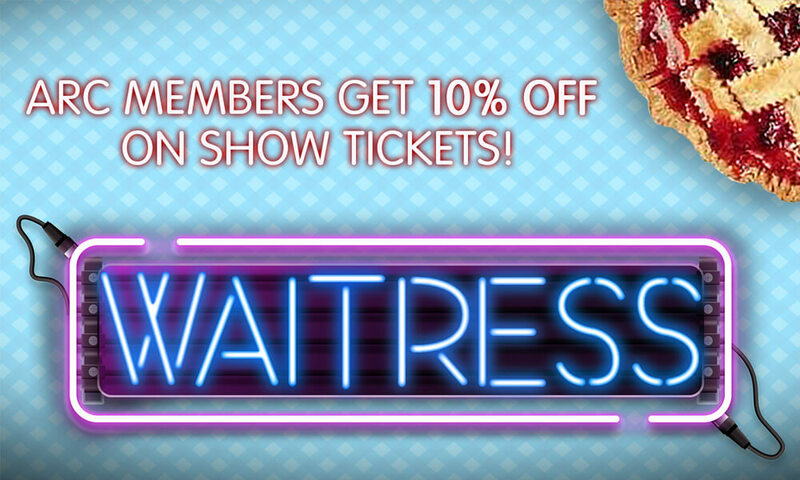 ARC members enjoy 10% off on the November 9-11, 2018 (8PM) show tickets. Use the promo code at Ticketworld outlets or via www.ticketworld.com.ph to enjoy the special rates. For inquiries, please email support@ayalarewardscircle.com. Offer is valid until October 25, 2018 or until tickets last. Terms and conditions apply.